If you’ve never had a hearing test before or wonder if you should have your hearing tested, you’ve got questions. Here you will find answers to the most commonly asked questions about hearing tests. What is a hearing test? A hearing test is a complete assessment of your ability to hear. It is a series of tests that determine how much hearing loss you have. It is different from a hearing screening. What is a hearing screening? A hearing screening is a simple pass/fail test that determines if you should have a complete hearing test. How long do these tests take? A simple screening can be conducted in less than 15 minutes. A complete hearing screening can take more than an hour. How much does a hearing test cost? Depending on your health insurance coverage, the out-of-pocket cost for a hearing test can cost up to $300. Check with your provider or the audiologist to determine if you qualify for coverage or a discount. Where do you get a hearing test? A simple hearing screening can be performed in the doctor’s office, at a health fair or may even be available online. 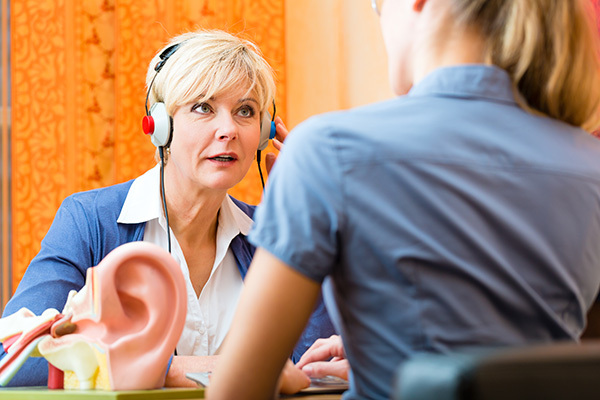 A complete hearing test is performed by an audiologist. The audiologist may be located in an individual office or part of a larger practice. How do you prepare for a hearing test? It may be helpful to bring a friend or family member. Be sure to make a list of ear infections or chronic diseases you may have. Bring a list of medications and supplements you take. Consider the instances where you find hearing difficult and make a note. Ask yourself, is it listening to your granddaughter or conversation in a restaurant? What is involved in a hearing test? The first part of the test involves talking to the audiologist about any concerns you have about your hearing. Next, a physical exam is made of your ears with an otoscope. Pure tone audiometry is used to determine your hearing threshold at a variety of frequencies and decibels. Speech recognition tests your ability to discern speech in quiet and with noise, tympanometry tests function of the inner ear and acoustic reflex tests for lesions on the nerves associated with hearing. Each ear is tested separately. Does a hearing test mean I need hearing aids? No, having a hearing test does not always result in dispensing of hearing aids. What happens if I have hearing loss? The results of your hearing aid are charted on an audiogram. At the end of the tests, the audiologist will interpret the results on the audiogram for you. If hearing loss has been detected, the audiologist will make recommendations. These recommendations may include wearing hearing aids as well as using strategies for better understanding speech. What if I need hearing aids? If you need hearing aids, the audiologist will discuss options with you. The audiologist will take into account your type and level of hearing loss, your lifestyle and any ability or dexterity issues you may have. Will I have hearing aids the same day? No. If you need hearing aids, the audiologist may need to make a cast of your ear for a custom earmold. Even if you don’t need an earmold, your hearing aids will need to be custom programmed to deliver the proper amount of amplification. Will a hearing test detect tinnitus? A hearing test will not detect tinnitus. However, if you suffer from tinnitus, the cause may be undiagnosed hearing loss. Tinnitus is frequently caused by hearing loss and treating the hearing loss relieves the tinnitus symptoms.